During THQ's investor call today, president and CEO Brian Farrell repositioned Homefront's launch from March 8 to March 15. 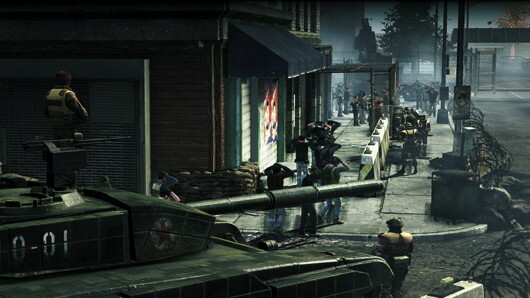 A THQ rep confirmed the delay to Joystiq, saying, "We moved our Homefront launch date by one week to March 15." No specific reason was given for the move, but the launches of Pokemon Black & White and Dragon Age 2 on March 8 go a long way in explaining it. The rest of THQ's statement seems to reflect our supposition: "We think we have a great opportunity to dominate retail on this date." Tell that to Yu-Gi-Oh! 5D's World Championship 2011: Over the Nexus.